Do you want to make money online? Are you a blogger who is looking for the best ways to make money blogging? Or Are you not able to boost sale conversion on your blog? If, the answer is yes. That means you are also one of those who is struggling to make money online working from home or working as a blogger. There is no doubt that blogging is the best way to make money online. There are thousands of professional bloggers around the world, who are making thousands of dollars every month, still, many bloggers fail to earn even one dollar in the whole month. Most of the bloggers get confused when it comes to choosing between Adsense and affiliate marketing. This Adsense vs affiliate marketing guide will help you understand which one is best for you. When it comes to make money online and become a full-time blogger, Adsense is the first love in the life of every blogger. To get Adsense approval all you need to have is a quality blog with the good number of daily page views. After you get Adsense approval, you are ready to display ads on your blog, when someone clicks on those ads, you will get paid. It sounds easy but there is the blogger who does not get even a single click on their ads in the whole day. You can make between $0.03 to $1 per click or more. Affiliate marketing is different from Adsense. You can make money by generating sales for other brands products and services. You can promote the products and services of other brands on your blog using banner ads, link ads or review articles. If your reader finds the product helpful they will buy it and you will earn a handsome commission that can be anywhere between 10% to 70%. For example: If you generate a sale for the product that cost $200 and offering 20% commission that means you will earn $40/sale. Now you see that there is a huge difference in the learning. Now let me show you more about Affiliate Marketing Vs. Adsense. I have already shown that there is a huge difference between the earning of Adsense and affiliate marketing. Where Adsense pays you for the click on the ad, affiliate marketing pays you for the real efforts which will generate sales. When it comes to affiliate marketing you can even make $1000/sale. Adsense and affiliate marketing, both are the different ways to make money blogging. Where in Adsense you can make money only when someone clicks on ads, but in Affiliate marketing, you can make money only if you generate the sale. Making money from Adsense seems easy, as all you have to place ads and bring huge traffic to your blog. In affiliate marketing, you have to put real efforts to generate sales. If you are a blogger, that means you understand the value of regular traffic. If you want to make good money from Adsense, then you need the huge amount of traffic. There are bloggers who are making thousands of dollars with millions of traffic. But in Affiliate marketing, you do not need the high amount of traffic. Affiliate marketing works for those who attract quality or highly targeted traffic. For example, A person wants to buy web hosting and visit your article in which you have shared about the best web hosting. If he makes the purchase from your recommended hosting then you will earn the commission. To make money from Adsense, you do not need marketing skills. Only your blog content and traffic help you to make money from Adsense. But in Affiliate marketing, you need the attractive marketing skill. Your blog content should be appealing to the reader. To promote the products and services on your blog, you may also need the expert knowledge about the product and services. Only then you will be able to tell the readers, how and why the product is helpful for them. Readers only buy your recommended products if they find it really helpful. Adsense is the king of the contextual ad network. There is no actual replacement of Adsense. There are many alternatives but nothing can stand in front of Adsense earning. But in Affiliate marketing, you have more choice. There is so many affiliate marketplace that you can join to apply for the products that you want to promote. For example: if you want to promote hosting on your blog then you have the huge number of hosting campaign of various companies, such as Bluehost affiliate program, hostgator affiliate program, Dreamhost affiliate program, Hostsailor affiliate program etc. Adsense and affiliate marketing both has their own pros and Cons. Where Adsense is an easy way to make money blogging, Affiliate marketing needs more time and skills to make money. If you are getting huge traffic from search engines, then Adsense is good for you, but if you are getting only decent traffic, then Affiliate marketing is for you. 1) Products should be related to your blog niche. 2) You should know the art of copywriting. 3) Write as you are discussing the product with your reader. How to become successful at Adsense? In the beginning of your blogging journey, you should monetize your blog with Adsense. When you have a good number of email subscribers, then you can start promoting affiliate products. Now you know the differences between Adsense and affiliate marketing. You also understand that which is best for you. Be open to try new things and make more money blogging. Thank you for sharing difference between Adsense and affiliate program, both are very good source of income, But for me what best is Affiliate marketing. Philips thank you for sharing a good and informative article for every blogger. nice post.thanks for sharing such a informative post. I am learning about Adsense and affiliate marketing both. It is good to learn that how bloggers make more money online. Good to learn new things, Keep learning. I was not aware about affiliate marketing much. this is really helpful to understand the differences and benefits of adsense and affiliate marketing. Keep learning more about money making. Affiliate Marketing is best but it is possible when we have good organic traffic.Thank you for sharing difference between Adsense and affiliate Marketing. There are a lot of difference in Affiliating program and AdSense. I think Adsense is the best for a new blogger because they have not enough skills to attract people for sale. most of the people do not trust on new bloggers. So like me, Adsense is best for a new blogger and I am earning awesome money from Google Adsense. Anyways everyone has its own choice. Wow! very informative post for every blogger. I am also a newbie in blogging and want to know about adsense and affiliate marketing. In this post you explained it very nicely and it is very easy to understand. After reading this post all my confusion cleared about adsense and affiliate marketing. Hey Gaurav, a nice comparison.. It’s all depends on the niche of the blog to go with Affiliates or Adsense…and you have described it well. There is no doubt that the final choice is of the blogger that what he finds best for his blog. For some bloggers like news sites Adsense works best but for review sites Affiliate marketing is the best. Adsense is just an add-on for me. It takes me a while to earn enough to withdraw but at least it is something. Affiliate marketing can earn you much more but, as you say, there are skills involved. The site that made the most from Adsense was one I created for a friend who was renting out a house in a village. The site itself was based on the village rather than focusing on the rental property. It was rarely updated and she only ever wrote 2 blog posts! Its very clear that there is huge difference from the earning of one successful action in Adsense and Affiliate marketing. News blogs are mostly monetizing content with Adsense. Nice post! I guess both works fine only if you know how to use them right. Many people are making good amount of money from Adsense. On the other hand, most making 7 figures income through affiliate marketing. In my opinion, its all depends on how well you know your niche and use them. Affiliate marketing has proved its worth. It is the best way which is helping so many bloggers including me to make thousands of dollars every month. Glad to see you here with a guest post. Thanks for sharing some valuable information regarding Adsense and affiliate marekting. Looking forward to read more posts from you soon. Also, thanks for Brother Phil for introducing this blogger to more audience through this post. Welcome to the world of Philipscom! Sorry, your link is broken, get in touch. It is always good to learn new thing. Thanks for you comment. Nice post! Thank you so much for sharing such a nice article. Its really help a lot. please keep sharing these types of articles in future as well. I am glad that you enjoyed it. keep learning more. Both adsense and affiliate marketing has their pros and cons but I believe for a starter adsense is always good but as you move up through your blogging career, affiliate marketing more sense. For starter Google AdSense seems to be the best because it’s quiet easy to earn decent amount when you have huge traffic. Big guys in blogosphere prefer affiliate because it pays better. 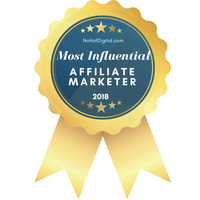 However, the best I will ever recommend to stay with is affiliate because there is no reason to start doubting that you will get ditched out as a publisher unlike AdSense. But yet,rocking the two together will be a better option so that you will not put your income in a single basket. It is always a good idea to utilize every single monetization method and find out which works best for you. Nice post! Gaurav. You have very differentiated between AdSense and affiliate marketing. Money generation from Adsense really requires a lot of traffic. Correct me if I am wrong, there is also money generation from ad impression in the case of Adsense. But of course, the mount generation is less (sometimes it is < $1 for 1000 impressions). Affiliate marketing is a great way to earn good commissions. Thanks and Take Care. Excellent post! Gaurav. You have very well differentiated between AdSense and affiliate marketing. Money generation from Adsense requires a lot of traffic. Correct me if I am wrong, as there is also money generation from ad impression in the case of Adsense. But of course, the mount generation is less (sometimes it is < $1 for 1000 impressions). Affiliate marketing is an excellent way to earn good commissions. Thanks and Take Care. Thank you gaurav you cleared my doubts, I’m a newbie to online work, But Now I know which way I’ve to work.